Hive had the challenge of creating stunning retail food packaging design which would clearly demonstrate the new products’ USP and product positioning, in keeping with the Essential Cuisine identity but using a bottle packaging format which was new to Essential Cuisine. 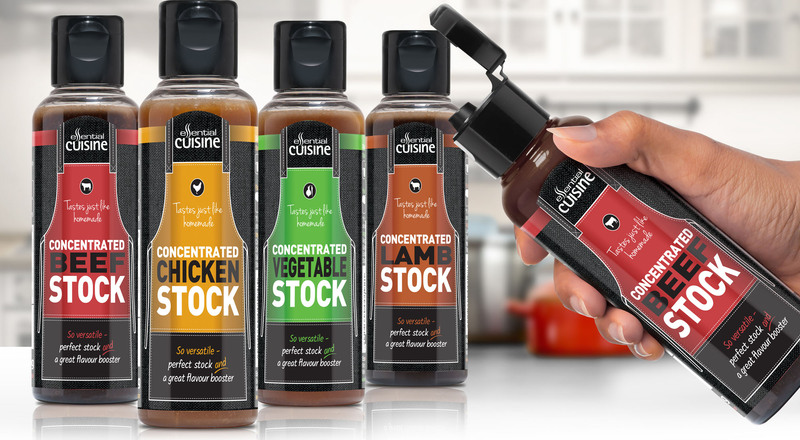 Since the successful launch of the Stock, Gravy and Jus range designed by Hive, Essential Cuisine introduced their new ‘Concentrated Liquid Stock’ to the retail range. 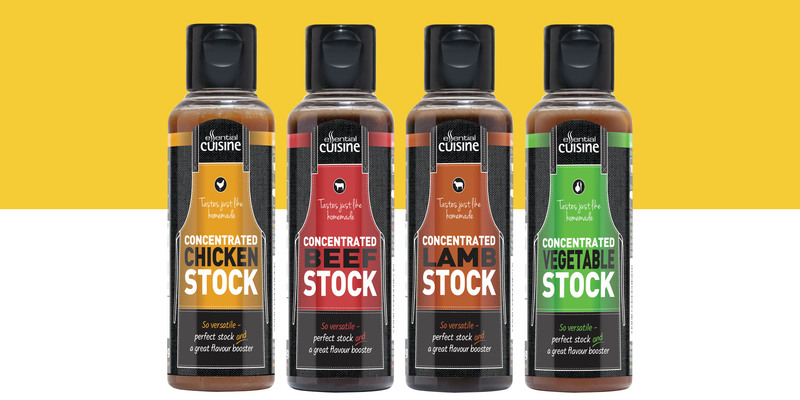 The newly released range of products are so versatile – they make the perfect stock and are a great flavour booster for ANY dish! We designed 4 labels for 4 different flavours; chicken, beef, lamb and vegetable with a quirky apron illustration to appeal to their home cook audience!